A previously developed soil toxicity test for rapidly determining the toxicity of chemicals to the soil-dwelling nematode Caenorhabditis elegans (Donkin and Dusenbery, 1993) was used to measure the toxicity of four metals (Zn2+, Cd2+, Cu2+, and Pb2+) added to four soils common to the southeastern United States. Nematode survival after a 24-hour exposure in the presence of a bacterial food source was assessed. All soils reduced the toxicity of most metal ions compared to solutions without soil. Pb was the most strongly affected, while Cd toxicity was not much influenced by the soils. Correlations between the LC50S and various soil or metal characteristics were determined. 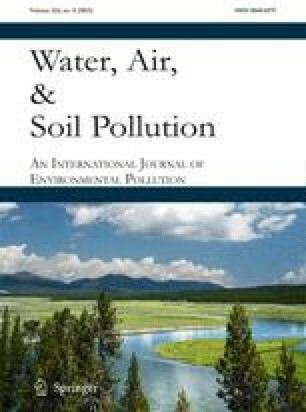 No significant correlation was found between LC50s and many soil characteristics commonly cited as having large effects on soil bioavailability of metals. Although sample size was limited, the indication was that bioavailability of metals to nematodes is determined by a complex array of many interacting soil, as well as metal, properties. Comparison of the relative mobilities of these ions in other soils with the relative toxicity measured here suggests that mobility may be a good predictor of toxicity. The C. elegans soil toxicity test is shown to be as sensitive and more rapid than the commonly used earthworm soil toxicity test.